This is a snap shot of my characters before or after they have been a part of anything. I really enjoy coming up with new people and lives, hence all my stories. These are just a small few that have come to life. I use most of my characters in this way to practice my skills in programs before a bigger project comes in or to practice a new technique I have learned for one of my programs. Either way, it spells out much fun for me. This drawing was more for fun then anything else. I used marker and Prismacolor, then scanned it and used Photoshop for the background as an entertaining way to play with the brushes. I had a lot of fun with this idea. This one is part of a group, the 7 deadly sins, with my own unique spin. Taking Greed out, there is a more to her picture, I placed her into Photoshop. 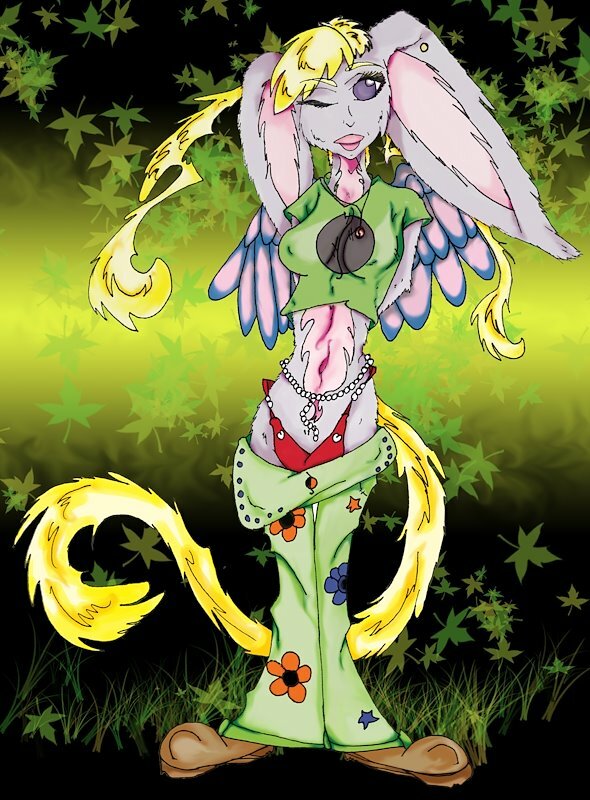 Unlike my bunny however, she was fully digitally colored. I was rather pleased with the over all outcome of this picture. 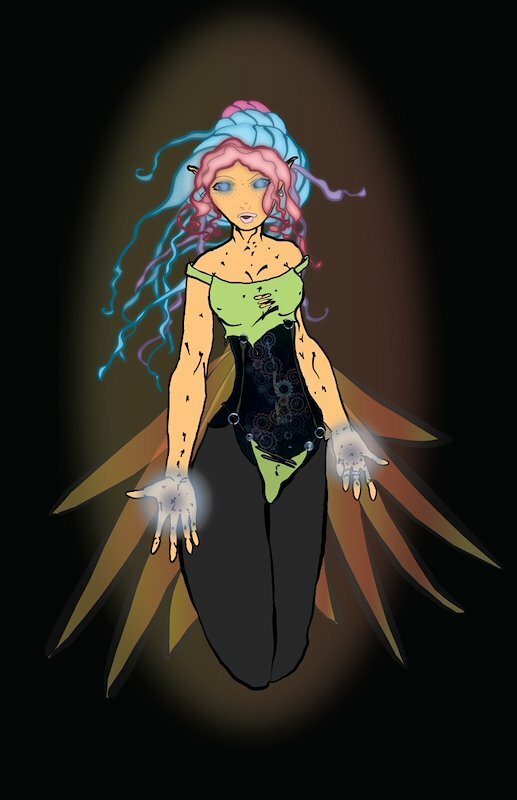 This Character is based off of one of my stories I have written. 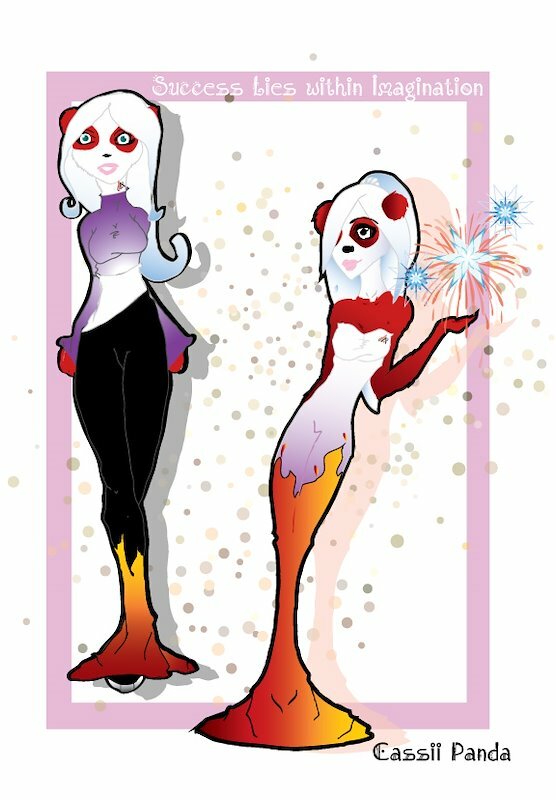 I drew her a while back, but wanted to color her in a unique way, which I finally found with Illustrator. She became the first outlet and turn to most of my work going through illustrator. I also had fun learning and creating the steam-punk feel. This was the first time I really pushed my coloring and used new techniques in Illustrator. 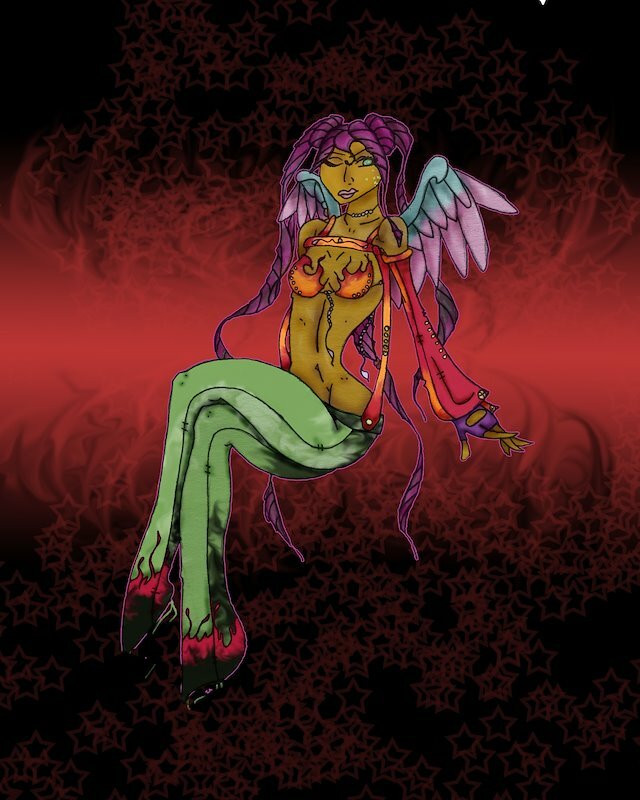 This project was colored in Illustrator, after hand drawing, as with all my characters.